3-CD Digipak (6-plated) with 104-page booklet, 104 tracks. Playing time approx. 231 mns. Fans of hard-core honky tonk, hillbilly, and rockabilly have requested this set for years! It took us THAT long to get it right. Contains every 1950s single by Texas honky tonk legend Eddie Noack, including alternate takes, from the master tapes where they still exist. Contains 27 demos, false-starts, and original session chatter, most issued for the first time, plus many other songs never available on CD. Includes a wealth of vintage photographs and clippings, newly researched biography, and complete discography. Many lifelong country singers who had made a rockabilly single or two during its brief commercial reign were only too happy to later accept this rebranding if it translated to a critical acclaim or recognition they had otherwise never experienced. Eddie Noack forcefully resisted the temptation. 'No, I'm pure country,' he insisted. He wrote the honky tonk anthem Too Hot To Handle, Hank Snow's hit These Hands, and many more songs that endeared him to Dylan and lovers of unadulterated Texas honky tonk music. The first of two Bear Family retrospectives devoted to the music of Eddie Noack, 'Gentlemen Prefer Blondes' spans the early recordings, 1948 to 1961. 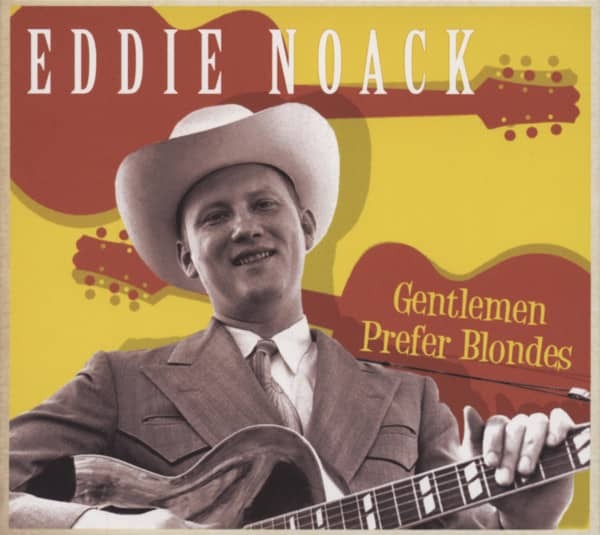 Collecting all of his 1950s singles, plus 13 unissued masters and alternate takes, along with 27 acoustic demos, it gives the fullest overview yet of the most vital years of Eddie Noack's career. Only one of these records, 1958s 'Have Blues - Will Travel', was a hit for Noack himself, and most people never heard these records when they were current. 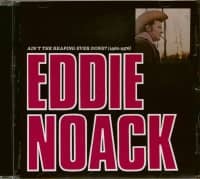 When he died in 1978, it was as 'songwriter' Eddie Noack rather than singer-songwriter. This collection (and the forthcoming disc of his 1960s material) corrects this, and redefines the artist as he should have been known in life, and wanted to be known to posterity - not simply as a 'songwriter,' but as a singer, songwriter, and defender of 'pure country' music. 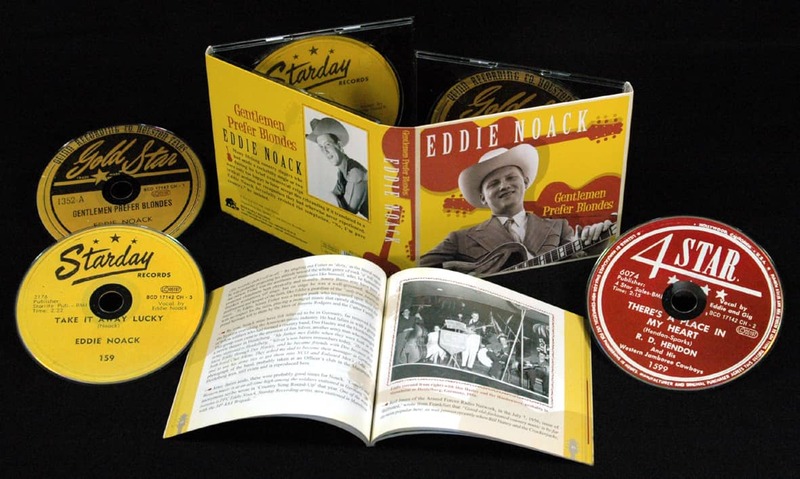 This deluxe 3-CD package is accompanied by a revelatory, newly researched 73-page biography of Eddie Noack by country music historian Andrew Brown. Customer evaluation for "Gentlemen Prefer Blondes (3-CD)"
Honky Tonk at it's best. 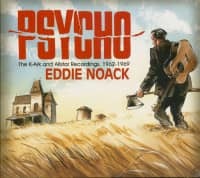 Eddie Noack was one of the greatest ever!!! 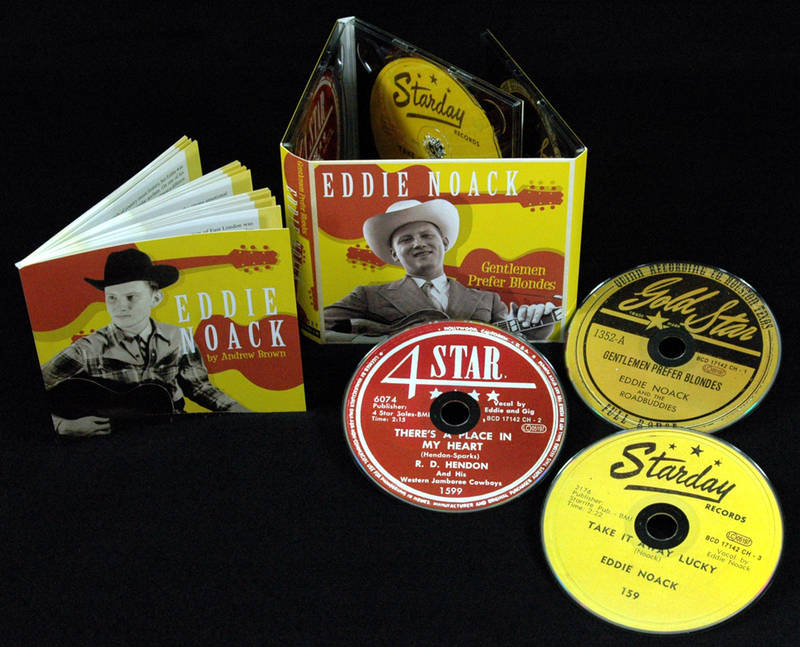 An excellent three CD set of every 1950s single by Texas honky tonk legend Eddie Noack, including altenate takes, and all from the master tapes where available. Auf diesen drei CDs sind 18 bislang unveröffentlichte Titel zu hören. Ausserdem 27 Demoaufnahmen. Eine Bear-Family-typische hervorragende CD-Box mit troller Musik!